A huge trend in interior design right now is for large format tiles, and our exciting new Extreme range really delivers on this - starting from 800x800mm to a staggering 3200x1600mm. 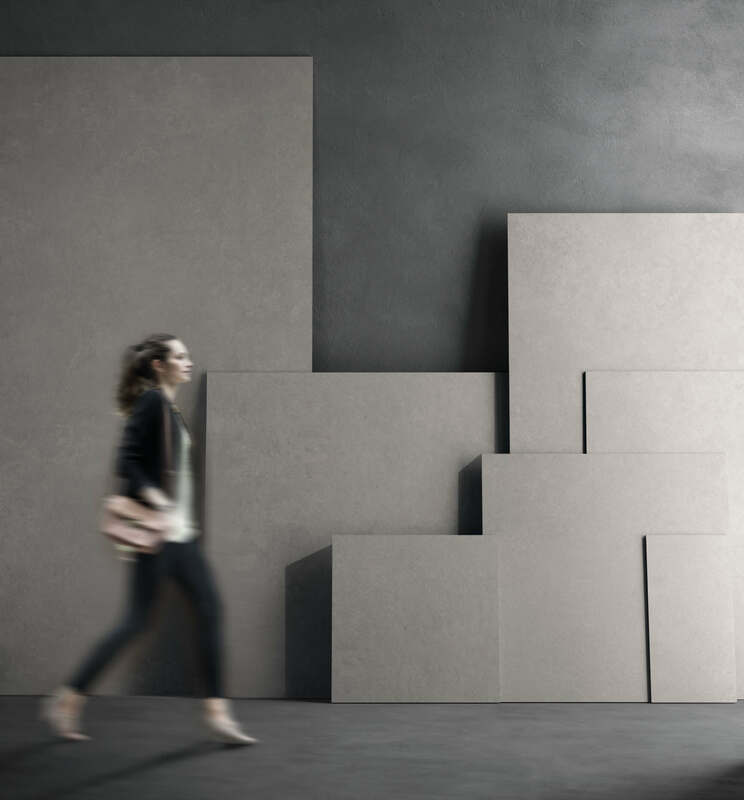 The ‘supersized’ tiles are manufactured in Italy, in the largest kiln ever built, and will give a seamless feeling of space to any contemporary design project. At just 7mm thick, the tiles are also easy to handle and cut, so suitable for walls and floors. These beautiful marble-effect tiles have powerful aesthetic appeal and will transform any large residential or commercial areas into breath-taking, elegant spaces. 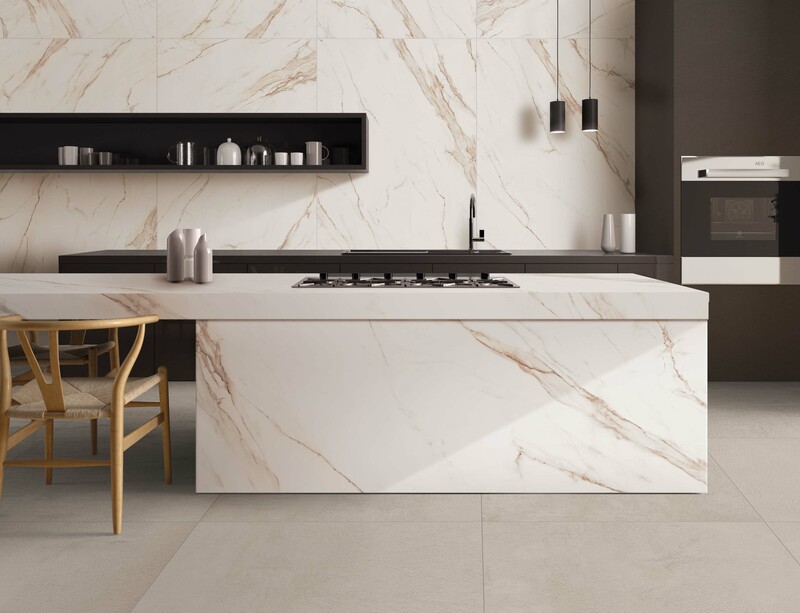 This range comes in seven sizes and eleven contrasting colours from opulent gold to white veined black marble and will look stunning on either of the matt or gloss surfaces available. To view range click here: Extreme Royale. The six sizes and four neutral tones in our Extreme Boulder range are ideal for large modern, contemporary design projects. 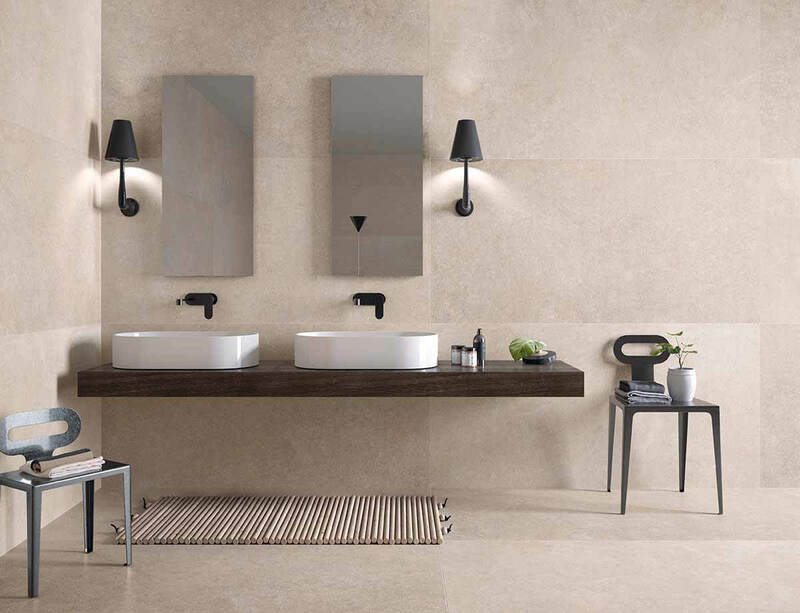 This range combines the aesthetic qualities of several different stones originating from the south of France, with constantly changing shades and textures that will make a striking, elegant and original impact across any large space. To view range click here: Extreme Boulder. The tones in our Extreme Oxygen range contrast brilliantly with weathered textures to create an eye-catching fusion of surfaces and materials present in modern industrial architecture. 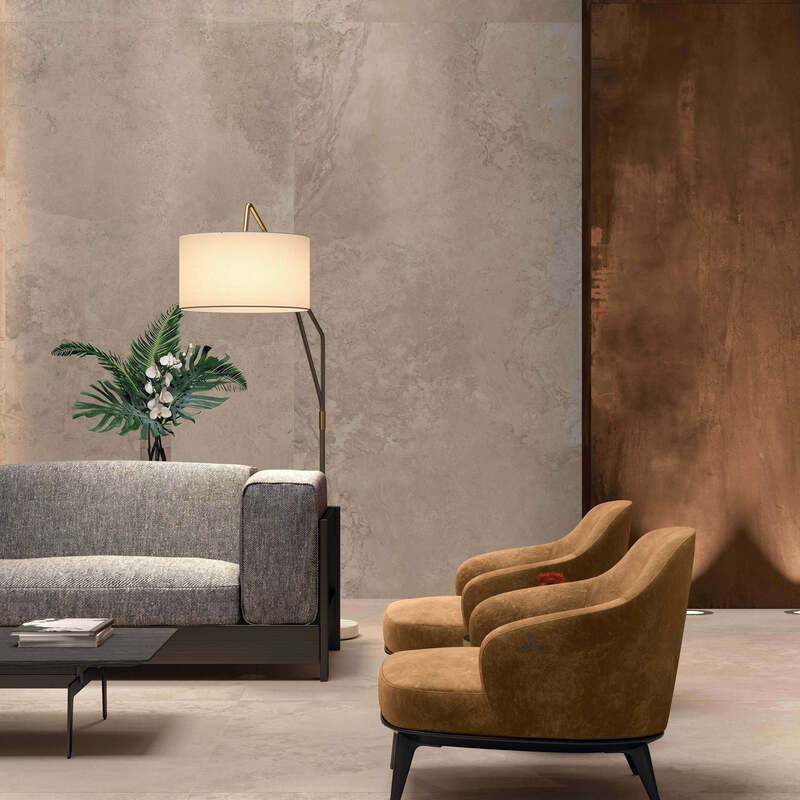 The coloured porcelain stoneware slabs echo vibrant oxidized metals and are available in six sizes and four colours, from a deep, earthy rust-effect tile, to a lighter silvery grey. To view range click here: Extreme Oxygen. Extreme Static range is the definition of minimalism on a grand scale. 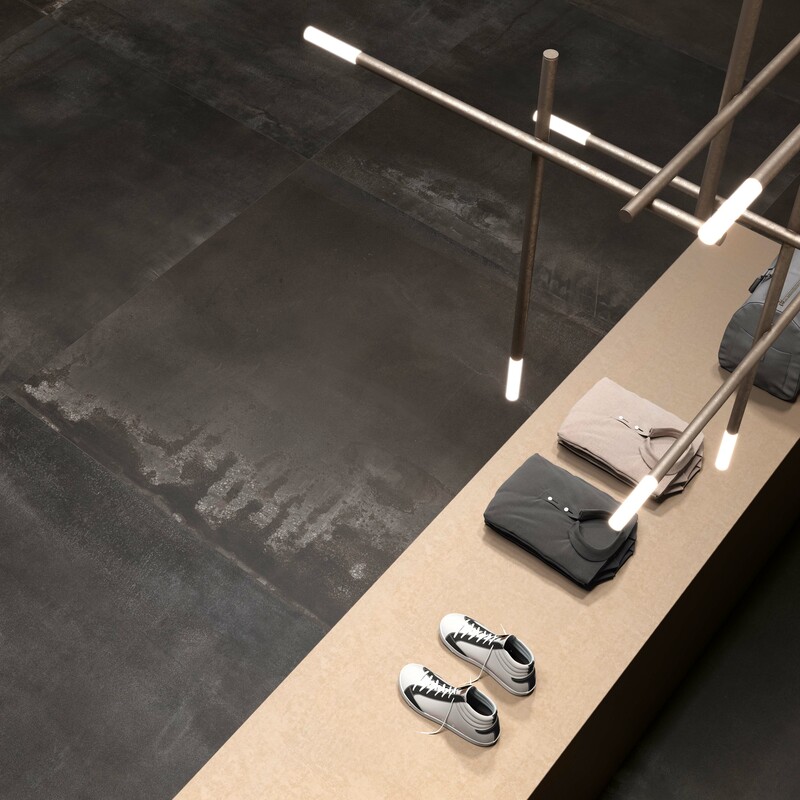 Inspired by different limestone effects from Northern and Central Europe, this tile comes in three sophisticated natural colours - sand, coal and grey, and is ideal for use in contemporary architecture. To view range click here: Extreme Static.